Keep your hair looking great with our quality hair care products. We sell these conditioners in bulk cases to save you money. Delivered right to your door, don't waste time lugging heavy shampoos and conditioners home from the store. 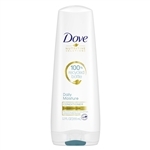 Unilever Best Foods Dove Daily Moisture Therapy Conditioner - 12 oz. Unilever Best Foods Suave Professionals Humectant Conditioner - 14.5 oz. Conditioner Dove Intense Damage Therapy - 12 Fl.Oz. Suave Conditioner Almond and Shea Butter - 12.6 Oz. Suave Conditioner Rosemary Mint - 14.5 Oz. Conditioner Suave Sleek - 12.6 Oz. Hair Conditioner Moisture Rich Tresemme - 3 Fl. Oz. Nexxus Conditioner Humectress - 13.5 Fl.Oz. Nexxus Conditioner Humectress - 5.1 Fl. Oz. Suave Conditioner Color Care - 12.6 Oz. Suave Conditioner Keratin Care - 12.6 Oz. Aveeno Pure Renewal Conditioner - 10.5 fl.oz. Neutrogena Triple Moisture Daily Deep Conditioner - 8.5 Fl. Oz. Suave Moroccan Shine Conditioner - 12.6 fl.oz. VO5 Extra Body Conditioner - 12.5 Oz. VO5 2 in 1 Moisturizing Shampoo Conditioner - 12.5 Oz. Herbal Escapes Kiwi Lime Squeeze Conditioner - 12.5 Oz. Vo5 Herbal Escapes Free Me Freesia Conditioner - 12.5 Oz. Herbal Escapes Sun Kissed Raspberry Conditioner - 12.5 Oz. Moisture Milks Strawberries and Cream Conditioner - 12.5 Fl. Oz. Tea Therapy Vanilla Mint Tea Conditioner - 12.5 Oz. Silky Experiences Island Coconut Conditioner - 12.5 Oz. Herbal Essences Body Envy Conditioner - 10.17 oz. Neutrogena Triple Moisture Leave In Conditioner - 6 Fl.oz. Dove Cool and Fresh Moisture Conditioner - 12 fl.oz. TRESemme Climate Control Conditioner - 28 Fl. Oz. TRESemme Anti Break Conditioner - 28 Fl. Oz. TRESemme Moisture Rich Conditioner - 28 Fl. Oz. TRESemme Remoisturize Conditioner - 28 Fl. Oz. TRESemme Smooth N Silky Conditioner - 28 Fl. Oz. TRESemme Flawless Curls With Vitamin B1 Conditioner - 28 Fl. Oz. Aussie Aussome Volume Conditioner with Pump - 29.2 Fl. Oz. Pantene Daily Moisture Renewal Conditioner - 12 Fl. Oz. VO5 Volumizer Light and Clean Conditioner - 11 Fl. Oz. VO5 Split Ends Anti Breakage Conditioner - 11 Fl. Oz. VO5 Dry Scalp Moisturizing Conditioner - 11 Fl. Oz. VO5 Anti-Frizz Conditioner - 11 Fl. Oz. Suave Conditioner Essentials Tropical Coconut - 30 Oz. Suave Conditioner Essentials Ocean Breeze - 30 Oz. TRESemme 24 Hour Healthy Volume Conditioner - 28 Fl. Oz. Ogx Argan Oil Conditioner - 385 ml. Ogx Healing and Vitamin E Conditioner - 385 ml. Ogx Orchid Oil Conditioner - 385 ml. Ogx Coconut Milk Conditioner - 13 fl.oz. Ogx Tea Tree Mint Conditioner - 385 ml. Ogx Kukui Oil Conditioner - 385 ml. Ogx Brazilian Keratin Therapy Conditioner - 385 ml. Ogx Argan Oil Morocco Conditioner - 385 ml. Ogx Biotin and Collagen Conditioner - 385 ml. Ogx Keratin Oil Conditioner - 13 fl.oz. Ogx Coconut Curls Conditioner - 385 ml. Ogx Lavender Platinum Conditioner - 385 ml. Ogx Pomegranate and Ginger Conditioner - 13 fl.oz. Ogx Bonding Plex Conditioner - 13 fl.oz. Maui Moisture Bamboo Fiber Conditioner - 385 Ml. Maui Curl Quench Plus Coconut Oil Conditioner - 385 Ml. Ogx Shea Soft and Smooth Conditioner - 385 Ml. Ogx Bamboo Fiber Full Conditioner - 385 Ml. Ogx Hydration Oxygen Conditioner - 385 Ml. Ogx Cherry Blossom Ginseng Conditioner - 13 oz. Ogx Teatree Mint Conditioner - 13 Fl.oz. Ogx Sake Essence Conditioner - 13 Fl.oz. Ogx Coconut Miracle Oil Conditioner - 385 ml. Ogx Coconut Water Conditioner - 385 ml. Ogx Moisture Plus Vitamin B5 Conditioner - 385 Ml. Ogx Sea Mineral Moisturizing Conditioner - 385 ml. Argan Oil Moroccan Conditioner - 88.7 ml.